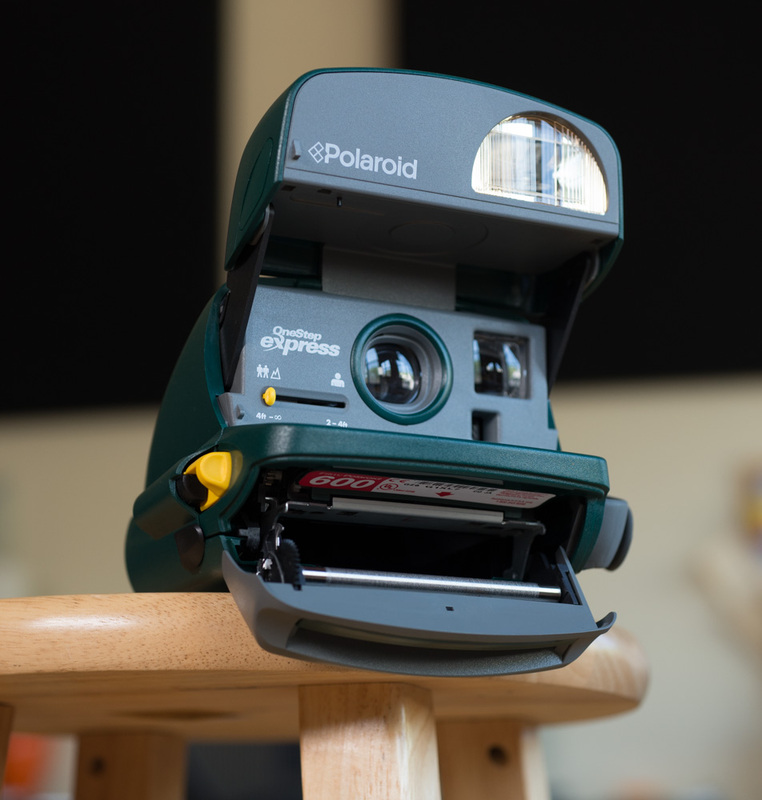 There are many different kinds of vintage Polaroid cameras floating around out there, all of them spanning decades of production and millions of units. When you dust off an old instant camera in an attic, how are you supposed to find film for it? Does it even exist anymore? If it does, what kind does it take? You’re in luck! Polaroid Originals, formerly the Impossible Project, makes film for vintage Polaroid cameras. After the original Polaroid film ceased production back in the 2000s, Polaroid Originals has brought it back, and it’s better than ever. If you’re wondering if Fuji Instax film will work in vintage Polaroid cameras, I’m sorry to say it will not. Fuji Instax is its own system, and even Instax Square is a completely different size and shape than Polaroid. Polaroid Originals is the only company that currently makes Polaroid film. Before we dive in, you may be wondering why the camera you found just found won’t ‘turn on.’ Most Polaroid cameras don’t have batteries in the camera itself. Rather, they’re in the film cartridge. If you’re lucky enough to find a camera that still has film in it, the battery is likely long dead, so the camera can’t do anything. In order to test a camera, you have to have new film cartridge to put in it. To figure out what kind of film you need to use, see which of the following categories your camera falls under. The sticker for this camera is on the underside of the film cartridge slot. This is one of the most common types of Polaroid camera out there. Polaroid 600 type film is the trademark ‘square’ shape that most people associate with Polaroid cameras. Polaroid 600 type cameras were most commonly plastic box-type viewfinder cameras, but there were a small handful of folding SLRs as well. To see if your camera is a 600 type, open the slot in the front of the camera where film is loaded through. There will be a sticker on it that says if the camera is 600, SX-70, or Spectra/1200. If it says 600, then you have a 600 camera. Polaroid 600 cameras were one of the newest generations of Polaroid cameras, and was widespread in the 90s. It traditionally used Polaroid 600 type film, which had a much higher sensitivity that made it easier to shoot indoors and in low light. Polaroid completely shut down production of Polaroid 600 film in 2008, and sold off the last of its stock over the next few years. The last remaining packs of vintage Polaroid 600 out there are extremely expensive and likely have dead batteries in them. 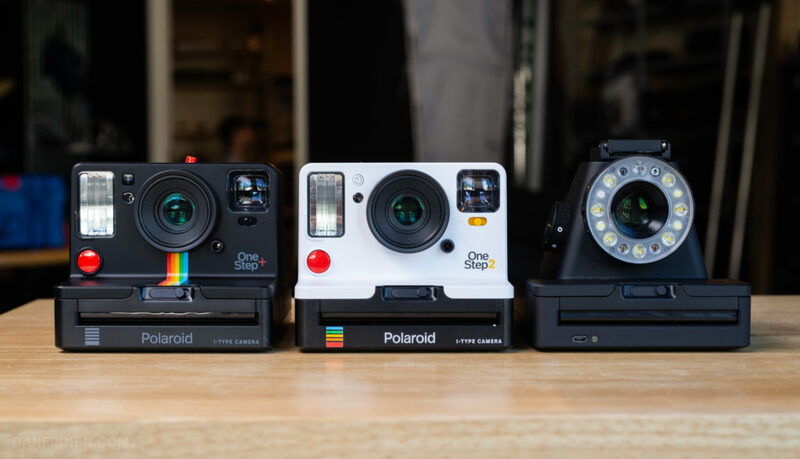 Polaroid Originals makes both color and black and white film for 600 cameras, as well as a myriad of special editions. You can purchase the film directly from Polaroid Originals, and also find it at stores like Amazon. Some examples of this kind of camera include the Impulse AF, Polaroid 680 folding SLR, and the Polaroid OneStep Closeup. 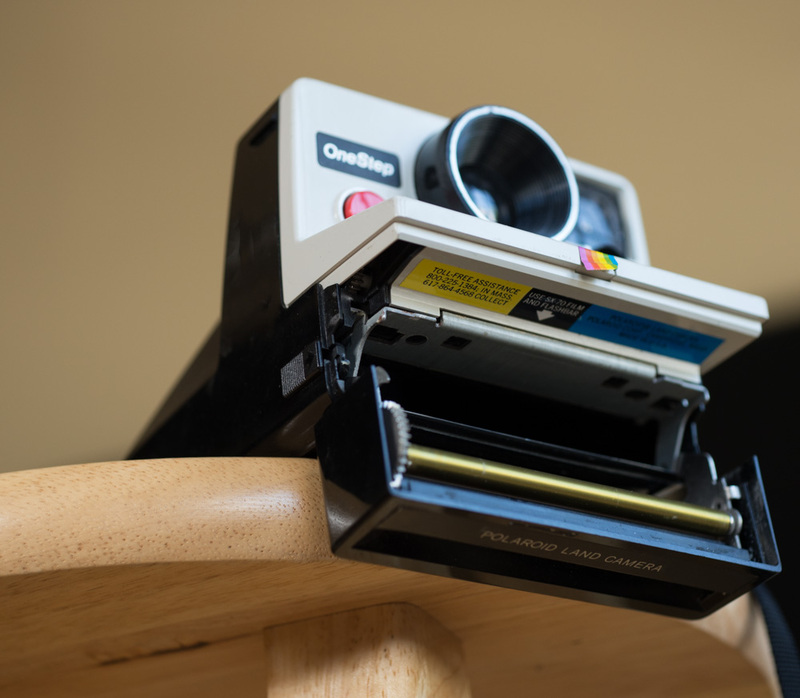 The Polaroid OneStep also has a sticker on the bottom of the top side of the cartridge slot. Polaroid SX-70 film has the same shape as Polaroid 600, but is an older form of it that was much less sensitive to light. It only had an ISO/ASA of 70, which made it tremendously difficult to shoot without an ultra bright flash anywhere outside of direct sunlight. Polaroid SX-70 cameras are also numerous, but tend to be older since their heyday was in the 70s and 80s. Many of these cameras are also cheap plastic box-types, but some are original folding SLR designs that were Edwin Land’s pride and joy. SX-70 type cameras are often tougher to use because of their advanced age and lack of features. 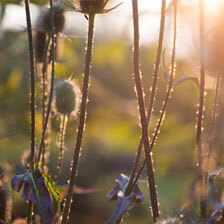 Most of them do not feature flash, and are, with few exceptions, manual or fixed-focus. If you get one, I highly recommend picking up a flash bar. Old flash bars were disposable rows of bulbs that popped one-by-one, so a new reusable one is a far better solution. You can check if your camera is SX-70 type by looking in the flap of the film slot, just like with the Polaroid 600 type camera. Vintage Polaroid SX-70 has been long discontinued, but Polaroid Originals makes both color and black and white film for SX-70 cameras. You can purchase this film directly from Polaroid Originals or at stores like Amazon. Some examples of this kind of camera include the SX-70 Sonar and Polaroid OneStep. Even Polaroid didn’t know what to call Spectra film. Sticker is on the bottom piece of the cartridge slot. The Polaroid Spectra/Image/1200 was an offshoot of Polaroid 600 that has a slightly larger frame. It was primarily focused on professional markets, and is a bit harder to find than 600/SX-70 cameras. 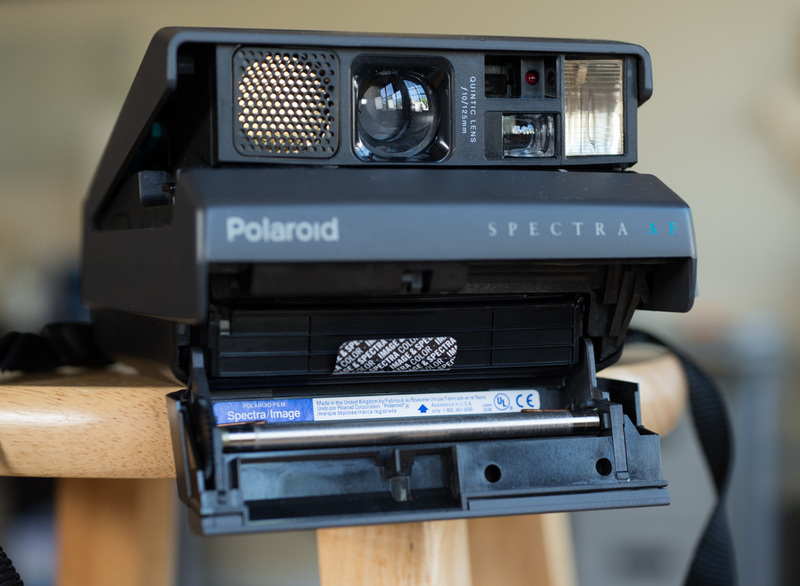 Polaroid Spectra cameras are typically a bit wider than SX-70 or 600 cameras because of the wider format, but like those cameras, you can find out exactly what it is by opening the film cartridge slot. The only confusing thing about this format is that is went by a bunch of different names while it was on the market. Spectra, Image, and ‘type 1200’ all mean exactly the same thing. Polaroid Originals also makes film for these cameras, which you can purchase directly from them or from stores like Amazon. Because this is a less popular format, there are times when Polaroid Originals sells out of Spectra film in some areas. Because of the great cameras that tend to be fairly cheap, and the high sensitivity of the film, this is one of my favorite formats to shoot in. Examples of this kind of camera include the Polaroid Spectra System and the Spectra AF. 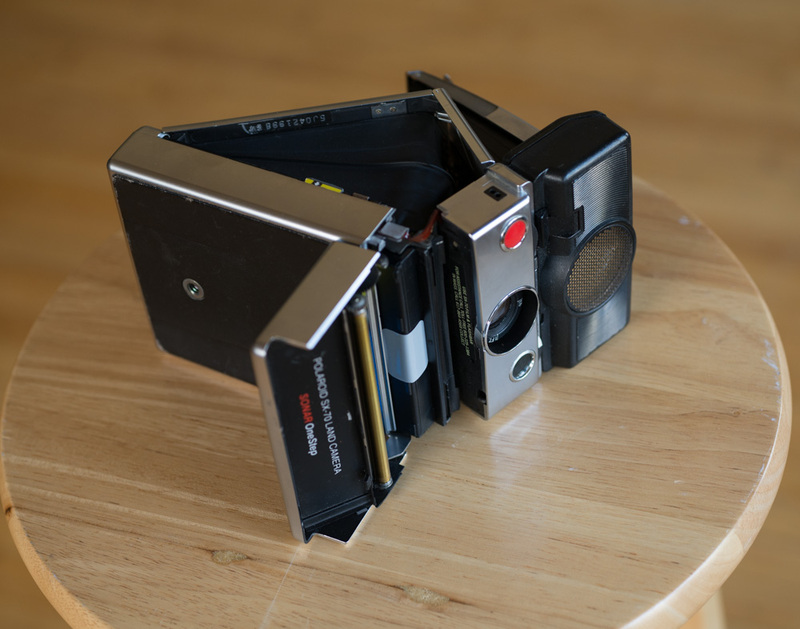 An example of a peel-apart Polaroid camera. Before the ‘modern’ Polaroid formats arrived, there was peel-apart. These cameras are many decades old, but there are still quite a few out there. The biggest issue with these cameras is that they do not use modern battery types. 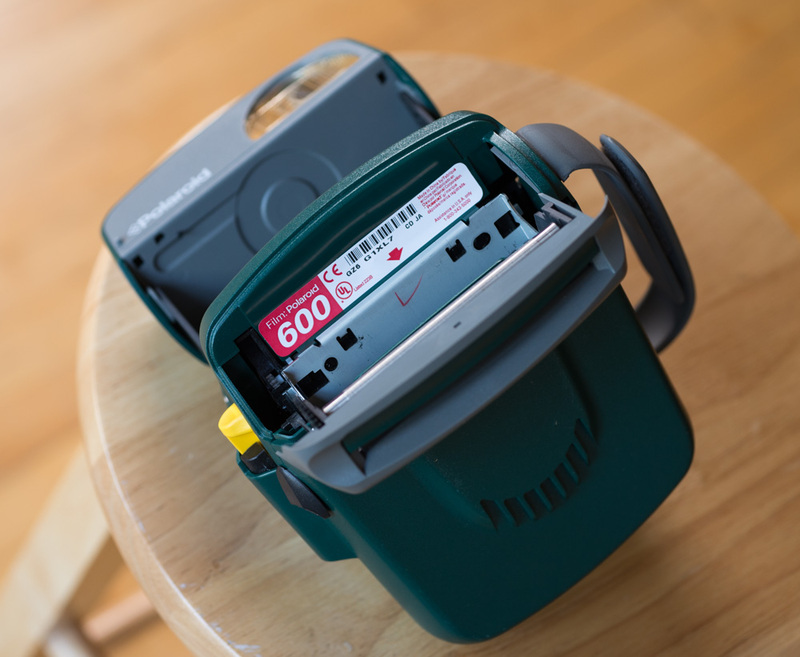 Unlike Polaroid SX-70, 600, and Spectra, the batteries are not in the cartridge themselves, rather, they’re in the camera like a traditional 35mm camera. To use a peel-apart camera today, you must first either re-wire the battery compartment or find a custom battery that works for the camera. That’s also assuming that nobody left and old battery inside the camera when it was stored away. Battery acid has claimed all of the peel-apart cameras that I’ve found, damaging the wires and battery compartment beyond simple repair. However, if you can get one of these cameras working, they do produce awesome results. Up until very recently, film was still made for these cameras. And of all places, it came from Fujfilm. Old stocks of FP-100c are still floating around out there, and as of fall 2018, could still be found in a handful of stores. An example of this camera is the Polaroid 340. 8×10 Polaroid back on a large format camera. 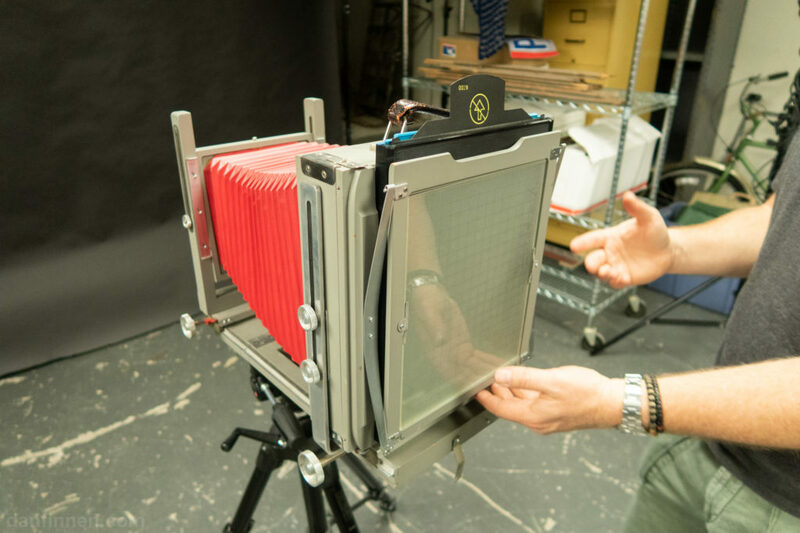 It may come as a surprise, but there is a robust large format Polaroid presence out there. I’ve had the fortune of being able to play with these cameras, and they’re a blast, though very difficult and expensive to use. Polaroid made film for 8×10 backs, and had specific development tools that went with it. Luckily for those who invested in that equipment, Polaroid Originals makes film for 8×10 cameras, and it’s awesome. It’s a rare format, so it is often out of stock for months at a time. You generally won’t find any large format Polaroid cameras lying around. Large format simply used specific backs that attached to existing large format cameras. If you do somehow happen upon a Polaroid large format back or developer, there are people who are actively looking for them. These are exceedingly rare, however, compared to all other Polaroid formats. The Impossible Project, now Polaroid Originals, also makes their own cameras. These cameras use ‘I-Type’ film, which is essentially the same as Polaroid 600, but the cartridge does not have a battery. Since the camera itself supplies the power, taking out the battery makes the film more eco-friendly and cheaper. These cameras have only been around a few years, so it is unlikely you’ll find them deep within a dusty attic. However, you may encounter them in resale shops and stores, especially the I-1. As of fall 2018, the only I-type cameras are the Impossible Project I-1, the OneStep2, and the OneStep+. I-Type film can be purchased directly from Polaroid Originals or from sites like Amazon. For a few years, Kodak produced instant film cameras, and you’ll still see quite a few floating around in thrift shops. They’re worthless, and they’ve been worthless for a long time. In one of the biggest patent trials in US history, Polaroid won a lawsuit brought against Kodak for infringing upon instant film patents. Kodak was required to stop selling instant film and cameras, and overnight thousands of cameras were rendered useless. There is no film made for these Kodak instant film cameras, and it’s been so long that none is still available even in secondhand markets. Folding type SLR cameras are the most valuable Polaroid cameras out there. Many times when people dig up old cameras, the first question they ask is how much its worth, rather than how to shoot with it. 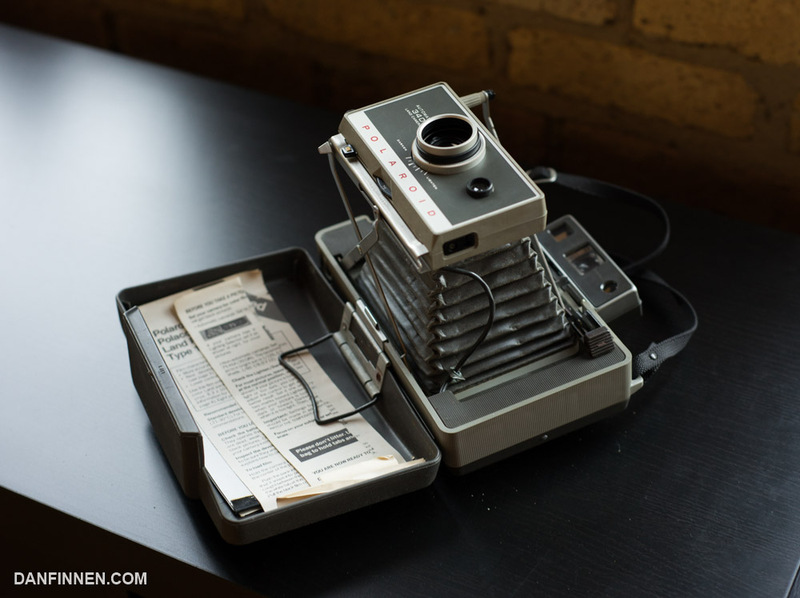 I go over this in how much is my vintage Polaroid camera worth article, but generally if it is not a folding-SLR type, it’s not going to be worth a whole lot. However, there are people who will take it off your hands for a few bucks. Got a camera and film and wondering where to start? I have a beginner’s guide to using box-type Polaroid cameras. Also, if you’re looking to get your own, or you’re curious about one of the other formats listed above, check out my Polaroid camera buying guide.